3PL Center was founded on a simple idea – provide stellar third party logistics services through robust technology solutions. We apply our passion to help pet products companies overcome the toughest fulfillment, packaging, warehousing, and distribution challenges. 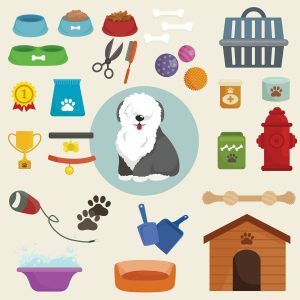 Our industry solutions are easy to customize and implement, and they are customized to your unique position in the pet product marketplace. The pet products industry earns a revenue of more than 50 billion dollars annually. It’s safe to say that the industry shows no signs of going to the dogs anytime soon. Entrepreneurs are more forward-thinking than ever, and more all-natural pet food products, luxurious pet spas, and technology-enhanced pet apparels are set to hit both online and physical stores in the near future. Research has shown that older pet owners can afford to spend more (a good thing for business owners) when it comes to their pets. If you are thinking about starting a pet products business or are already managing a well-established one, it is pertinent that you find ways to overcome all the tedious logistics processes before you can delight your customers with your innovative and useful pet products. At 3PL Center, we are the third party logistics provider you can trust to make your supply chain a success. Why Choose 3PL Center for Your Pet Products Business? At 3PL Center, we have a combined experience of more than 45 years in the supply chain industry as well as working with pet product businesses. Whether you manage a small to mid-sized to large organization, we fully understand what pet product businesses need when it comes to third party logistics. Warehousing: We offer the best of breed warehouse management system that are designed for pet products businesses of any size. Your pet products inventory is safe in our premium level warehouses that are managed by professional warehouse employees. Fulfillment: Our scalable and affordable fulfillment services are designed to help your pet products business grow. You will be able to keep your inventory closer at hand and fulfill high number of orders at once, at the best rates. Distribution: When it comes to the distribution of your pet products stock, we are able to keep your merchandise moving with timely and efficient execution. You can also enjoy discounted carrier rates as well as see your orders reach your customers within two days or less. 3PL Center provides exceptional customer support, and that’s why we have become the clear choice for many pet products companies. We practice a client-first approach in what we do, and your specific requirements are our priority concerns. Ready to Experience the Best in 3PL Capabilities? Are you ready to start outsourcing your logistics to 3PL Center? Give us a call at 732-391-2500 or send us an email to sales@3plcenter.com today to find out how you can get started.